The winter months are is full swing and I don't know about anyone else but I get such dry, peeling, uncool lips in the colder months so I wanted to share with you, my favourite homemade lip scrub which I swear by during these months. If you don't use a lip scrub already, I highly recommend doing so as it's a brilliant way to remove to impurities on your lips; flaky, dead, chapped and/or dry skin. Plus using a lip scrub minimises the dark spots on your lips, and keeps them looking and feeling healthier for longer. 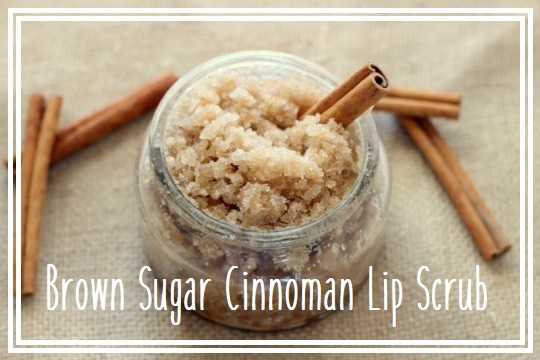 Adding a lip scrub into your daily facial routine will really benefit them. Have you ever tried a homemade lip scrub? What an amazing DIY idea! I might try it, just without cinnamon as I am allergic! What a fab idea - these would make really nice little homemade gifts too! This looks amazing and so needed in this weather! I really need to make a lip scrub - my lips are always such a mess in winter! omg i soooooo need to sort out a lip scrub. I love my liquid mattes but a girl is DRY. I love my lip scrub from Lush but never realised it would be so easy to make one myself! I'll definitely keep this in mind when mine runs out! Great idea! Oh my lips are so dry at the moment. I shall bookmark your post to give this a try, thanks for sharing. Very interesting tips to have beautiful lips! This sounds like it’s pretty easy to do! It would make a great DYI present! Ohh, I love this idea! I really struggle with dry skin in the winter and chapstick just can't seem to keep up! Thanks for sharing!